Will Any Sherbros Buy Destiny Taken King? Discussion in 'The Arcade' started by ArtemV, Aug 31, 2015. I previously sold my Destiny game (purchased no DLCs) because I never played it, instead I played Battlefield 4, NHL, Dark Souls 2 (SOTFS) and Bloodborne, and I still do play some when I have free time. Makes me want to try it out, I haven't played it since last year, I got bored of it, but these changes seem interesting + all of the other previous changes before this kind of ultimate edition is out, for $60, it seems good. Maybe, though for $60 it doesn't seem worth it frankly. The Taken King expansion is $40 by itself. $60 gets you the original game plus the 3 expansions so it's awesome for new players but it doesn't really help old players. I bought the game for $20 a few months ago and I luckily didn't buy either of the first 2 expansions. I'm going to either trade-in the game that comes with the new collection or give it to someone I know. Amazon -- $50 -- $10 off XB1/PS4 and $7 off 360. Discounts automatically applied at checkout. No discount on the PS3 version currently. Dell -- $60 + $25 gift card -- (Free) sign up for Dell Advantage is required. See link for instructions and links to all consoles' product pages. Bring it to PC and I will play. Still not worth it IMO. 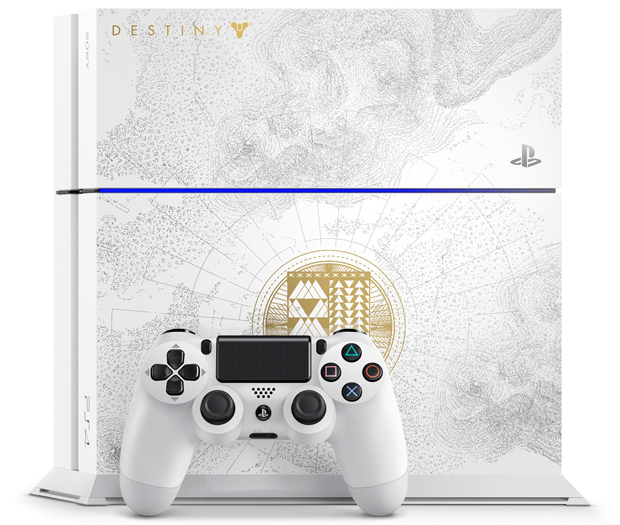 I was holding out to buy a PS4, but when I saw the Taken King bundle I jumped and Pre-ordered it from Gamestop. I have TTK preordered for the Xbox One. It's totally worth it IMO. I have spent so many hours in Destiny and I can't wait to play the Taken king. Not buying. Too many other games to play, I already wasted enough time trying to get loot in destiny. I'm going to need reviews before I commit to purchasing it. MOSTLY, because Bungie has gone from being one of my fave devs to coming close to my shitlist for how BLEH the vanilla game was. As someone who put in over 1000+ hours in the game, I won't be getting TTK. I was so disappointed with the 2nd DLC besides ToO, it was garbage. no raid bs. I had a lot of fun playing Destiny but it got to the point it wasn't fun and lost my faith in Bungie. I can no longer believe in the hype. Gonna buy the Legendary bundle which is only like 70 bucks. You get all the DLC and the game . Seems like a fair value. It sounds like a great deal for new players (getting all of the content for the same price as most paid for the base game), especially if you have some friends to play with, but I gave up on Destiny several months ago. It started feeling like a mobile game doing the same monotonous tasks over and over again, all the while dealing with Bungie's glitches and bad decisions. I'll stick with WoW. Stopped playing TF2 for the balance around their maps killed the sniper class, elimination of grenades and their introduction of gear stats was not directed to me. The loot/gear system is Destiny from what ive seen is the worst of WoW's throughout the years. Different emblems drops for specific gear and separate emblem drops for gear upgrades. i still play destiny but I need more this time. I need more selection when creating a character. I need a longer and more interesting campaign.